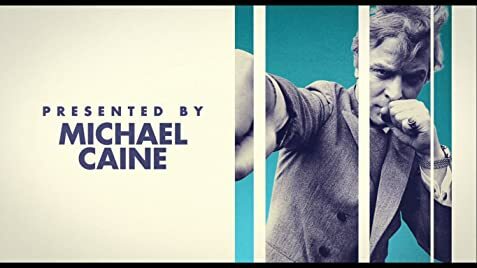 “You’re only supposed to blow the bloody doors off!” These are the unmistakable words that belong to actor Michael Caine, made more famous by Steve Coogan when he does his Michael Caine impersonation in Michael Winterbottom’s films THE TRIP and THE TRIP TO SPAIN. These words are uttered and shown with the clip from Peter Collinson’s 1969 heist movie THE ITALIAN JOB the film MY GENERATION in this very entertaining documentary narrated by Caine himself begins. The good old days. This is a phrase many use but are these really the good old days. Michael Cain questions the period of the 60’s – the period after the War, after the blitz and when food rations took effect. With poverty, unemployment, are these really the good old times? It takes the then generation, as Caine narrates to make a change. 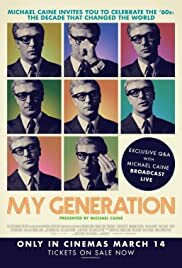 Caine claims himself at the age of 33 then, to be the grandfather of that generation. The title MY GENERATION is taken from the song by the English rock band The Who, which became a hit and one of their most recognizable songs. The song was released in 1965 has been said to have “encapsulated the angst of being a teenager,” and has been characterized as a “nod to the mod counterculture”. The doc is extremely watchable and entertaining for several reason, the foremost being the film references. Everyone loves the movies, especially in the 60’s. But as Caine narrates, the films were made on Dukes and Duchesses and the upper class, followed by a clip of a David Niven film with him wearing a top hat. The film goes on to the David Lean’s classic BRIEF ENCOUNTER where the characters now speak as the working class English do. This is the love story of the last meeting between Trevor Howard and Cilia Johnson, a film most film aficionados are familiar with. The film’s best segment is the collection of montages of what is wrong with the world (the riots, the atomic bomb, the Vietnam War) played on screen to the tune of the Rolling Stones song “I can Get No satisfaction”. Caine emphasizes the influence of bands of the 60’s – the Stones, the WHO and of course, the Beatles. This is typical British school boy mentality. When the old guard tells the boys not to do it, the boys always find away to do it. MY GENERATION are the young of the 60’s. They are the pop stars, the models, the photographers and Cockney at that. Models given screen time include Jean Shrimpton and Twiggy shot by photographers like David Bailey. The film attacks the class system particularly the upper classes. While celebrating the young, Caine makes his point against drug use, that became rampant in the 60’s particularly marijuana and LSD. Overall, MY GENERATION offers a good nostalgic look at the 60’s, particularly 60’s London. Wonder if there would be making docs on the 70’s, 80’s and 90’s and if they do, who would be narrating?